Tool checks & remove the duplicate items from all folders in PST File. Easy to filter out redundant mail items in Microsoft Outlook. Make report for unique & duplicate items in .csv extension. Outlook Duplicate email remover supports Windows 10 (32-bit & 64-bit). 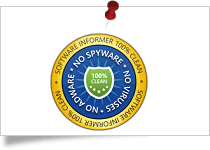 The Software Informer had given SysTools Outlook Duplicate Email Remover 100% clean & secure award for its outstanding performance. SysTools Outlook Duplicate items remover application gets 100% clean award by Soft Suggest for delivering Ad/Virus/Spyware free solution. 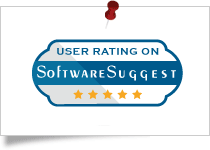 SysTools Outlook 2013 duplicate remover had got the 5 stars rating from Cnet for the best working. 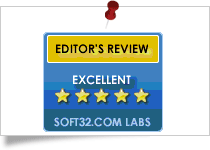 Soft32 had given SysTools Outlook Duplicate items remover 5 star rating for being the most effective & efficient product to clean up Outlook duplicate items. 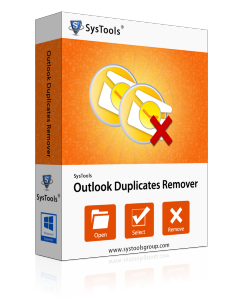 SysTools Outlook Duplicate items remover got clean award by Soft Suggest for delivering Virus, Ad & Spyware free solution. The Outlook Duplicates Remover software allows you to eliminate the duplicates from multiple MS Outlook PST files at once. You can add a folder having multiple PST files in it and software will remove duplicates from each PST file as well as the folders in it. It is possible to cleanup the duplicates from all items within Outlook PST file. You can delete the duplicate items from emails, contacts, calendars, tasks, notes, journals. If required, you can check or uncheck the items for selective data deduplication. The software allows you to eliminate duplicates from multiple PST files in two ways. The software allows you to add multiple PST files at once. You can see all the listed PST files on the software interface along with its attributes like: File Name, File path, status, duplicates found and the name of item. Once you add the PST files for data deduplication, it will show you the current status of each file. Now once the software starts removing duplicates from the folders, it will show you the status as complete with the number of items processed. While removing duplicates emails & other items from the PST file(s), you will be asked to choose a desirable location. You can save the file at any desirable location and save the PST file. Also, if required; you can make a new folder to save the output files in it. Outlook Duplicate items remover support to the latest Outlook version. The tool clean up duplicate items from Microsoft Outlook 2016, 2013, 2010, 2007, 2003. PST duplicate remover tool generate two different report in .csv file extension. The software exports one duplicate & one final report so that you can differentiate your replicated files as well as original files. Trial version of Outlook Duplicate Remover software is capable to remove duplicates from 15 items per folder. Microsoft Outlook(32-bit or 64-bit) should be installed and configured for a valid or dummy POP3 profile (Not Configured for Exchange). Can you please elaborate me the working of Outlook Duplicate Email Remover tool? Free Download and Run Outlook Duplicate Remover. Click on "Add File(s) or "Add Folder" to open PST file. 2 option to delete duplicate items: Within and Across Folder. Click on Remove Duplicate button. How can I remove multiple numbers of duplicate emails? SysTools Outlook Duplicate Remover is a very efficient and reliable tool which is capable of removing 'n' number of duplicate emails from a respective Outlook mail profile. Do I need to install Outlook on my machine before using this tool? Yes, Outlook should be installed on your performing machine and it should also be configured any of the two profile types; POP3 or dummy. However, the version of Outlook (32-bit) could be any. Can I remove duplicates from multiple PST files at a time? Does the software removes Duplicate Emails and Calendars from Outlook (PST) files? Yes, the tool removes duplicate emails from Outlook, as well as it eliminates calendars, contacts, journals, tasks and notes. Are duplicates checked for in a single folder or across multiple folders? As a matter of fact, Outlook Duplicate Remover software checks for duplicates in both ways; within a folder and across folders for detecting all types of duplicate items such as; emails, contacts, calendars, etc. Does software remove duplicates from a specific size of PST file only? No, there is no such file size related limitation within software. You can remove duplicates emails in Outlook from any size of PST file successfully. Are any changes made to the source PST file after processing it? No, Outlook Duplicate Remover software is built with advance algorithms that ensure not to modify source PST file. It rather creates a new PST file at a destination location of your choice with no duplicates. Is there any limitation in demo version of Outlook Duplicate remover for deleting duplicacy across the folder? Yes, the demo version of Outlook PST duplicate tool eliminates only 15 items per folder.If you want to delete more than 15 items, you have to purchase SysTools Outlook Duplicate Remover Tool. Can I remove duplicate calendar entries from Outlook 2016? Yes, Outlook duplicate calendar remover eliminates duplicate calendar items of MS Outlook version 2016,2013, 2010, and 2007. Is there any file limitation to remove redundant emails from Outlook? There is no such file limitation for deleting duplicate items from PST files. Can I remove duplicate contacts from Outlook 2016 using PST Duplicate Remover tool? Yes, Outlook Duplicate contacts remover tool is capable to clean up duplicate items from Microsoft Outlook 2016 as well as 2013, 2010, 2007, 2003. Thanks to the developers who developed Outlook Duplicate Remover tool so that the Outlook management become much easier and systematic. The format of creating a new PST file with the duplicate data removed from PST folder is a much appreciable quality that makes users confidence much higher. All Thanks to “SysTools Outlook Duplicates Remover” the software is just amazing, It can easily delete duplicate emails from Outlook 2016.Was confused due to duplicated emails.PST Duplicate Remover tool sorted my problem...!!! It leads to a lot of confusion when I discovered that values in my Outlook 2013 account were replicated, Finally found the “SysTools Outlook Duplicates Remover” software. It helped me to clean up my duplicate email items from MS Outlook. Also it was helpful in making my data duplicacy proof. Kudos to “SysTools”!!!! I was muddled due to the duplicacy found in my Outlook items. PST Duplicate email remover becomes my rescuer and helped me to clean up duplicate emails within and across the folders. The process is so simple. Thankyou SysTools!! Outlook Duplicate email remover is worth buying! I was worried as I have to delete duplicate email items in Outlook 2007 in batch of PST file and the tool helped me in eradicating duplicate items in Outlook 2007 at once. This is the best Outlook 2016 Duplicate remover tool which removes my replicated items with an ease and provides me an option to save my duplicate free PST Files at my desired location. Hi I am using Outlook version 2003. Does Outlook Duplicate email remover works for this version? If yes,Can you guide me how to delete duplicate emails from Outlook 2003 version? Copy your PST file and browse it on software to eliminate duplicates in pst file. Add your Outlook pst file or folder to the software. Browse your desired location for saving unique PST files. Outlook Duplicate email remover gives you two different reports exported in .csv format. You can see separate Duplicate & Final report. My list of reminders in calendars got doubled suddenly and I got confused due to replicated reminders.Do PST duplicate remover eliminate duplicate calendar entries? Yes, Outlook duplicate remover deletes duplicate calendar entries from Outlook version 2016, 2013, 2010, 2007, 2003. How can I distinguish my original PST and duplicate email files in Outlook duplicate remover tool? After scanning process, you will get two different reports in .csv extension. One is of Duplicate & other is of Final Report. From there, you can differentiate your duplicate as well as original email items. I want to remove duplicate tasks in Outlook 2010? Does the Outlook Duplicate Remover tool capable of doing this? Yes, you can delete duplicate tasks from Outlook 2016, 2013, 2010, 2007,2003.